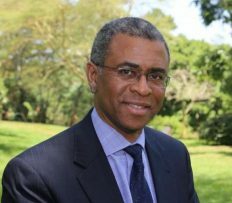 United Nations Secretary-General António Guterres appointed Mr. Elliott Harris of Trinidad and Tobago as Assistant Secretary-General for Economic Development and Chief Economist effective 2 April 2018. Mr. Harris brings over 25 years of international experience in the fields of international economics and development policy analysis, coupled with knowledge of the United Nations system, multilateral and inter–agency coordination processes. He has extensive experience in the design of macroeconomic policies and its application as a central instrument for the reduction of poverty and for resilient and sustained economic development. His work in the field of economics also focuses on the macroeconomic linkages with global social and environmental policies. Prior to his appointment, Mr. Harris served as Assistant Secretary-General and Head of the New York Office of the United Nations Environment Programme (UNEP) from 2015. He joined UNEP’s Senior Management Team in 2013 as Director of the New York Office and Secretary to the Environment Management Group. Prior to joining UNEP, Mr. Harris began his career in the International Monetary Fund (IMF) in 1988, where he worked in the African Department and the Fiscal Affairs Department. In 2002 he became an Adviser in the Policy Development and Review Department, and was appointed in 2008 as Special Representative to the United Nations, in addition to serving as Assistant Director of the Strategy and Policy Review Department. Mr. Harris holds a Bachelor of Science degree in German and political science and an advanced degree in economics. He was awarded an Advanced Studies Certificate in international economics and policy research from the Institute of World Economics in Kiel, Germany. 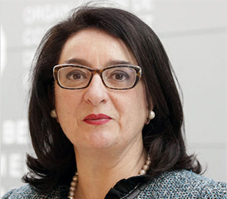 UN Secretary-General António Guterres announced today the appointment of Maria-Francesca Spatolisano of Italy as Assistant Secretary-General for Policy Coordination and Inter-Agency Affairs in the Department of Economic and Social Affairs. She will succeed Thomas Gass of Switzerland, to whom the Secretary-General and the Under-Secretary-General for Economic and Social Affairs are grateful for his commitment and dedicated service to the Organization.